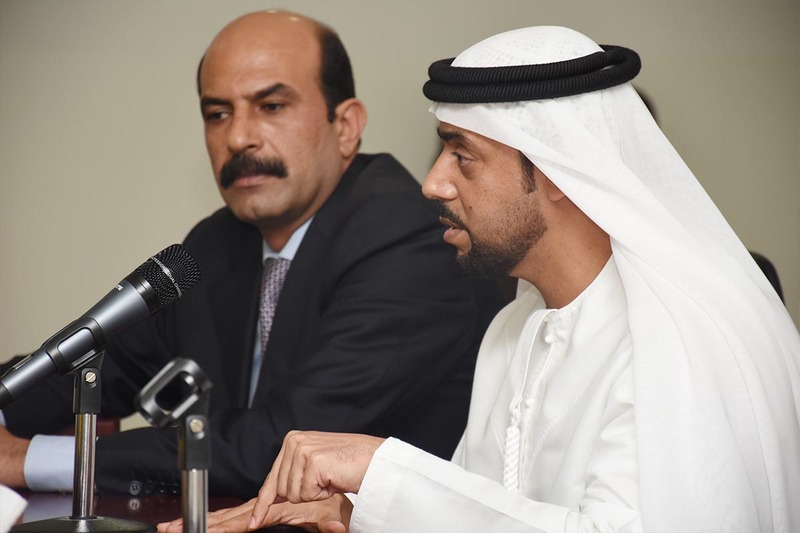 Home News > A lecture on "Litigation Procedures in Light of the Code of Civil Procedure"
The College of Law in Al Falah University organized a lecture in collaboration with Dubai Courts on "Litigation Procedures in light of the Code of Civil Procedure" by HE Judge Khaled Obaid Al Mansouri, on Tuesday, May 17 2016 in the presence of the Dean of the College of Law, Dr Mohammed Desouki. Dr. Mohammad Manasir, a valuable faculty member of the College also briefed the students on Dubai courts and legal procedures. 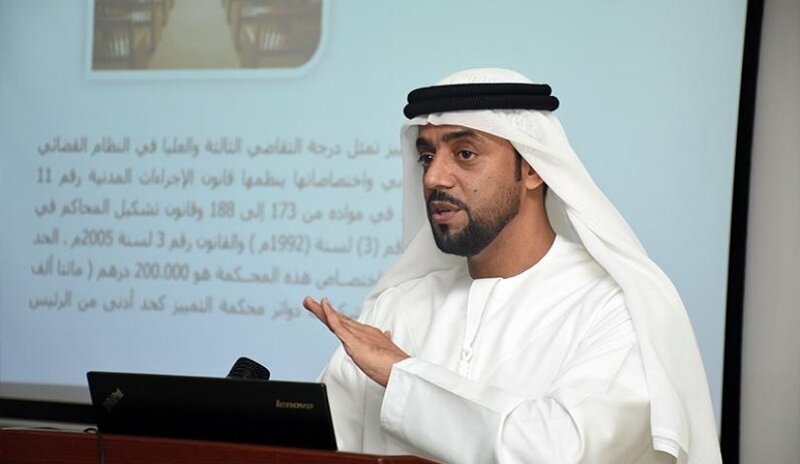 At the beginning of the lecture HE Judge Khaled Obaid Al Mansouri briefly narrated the history of Dubai Courts, and methods of litigation. In addition to this he listed the types of specialized courts in Dubai which are personal status, penal, real estate, labor, business and civil courts. At the end of the lecture HE Khaled Obaid Al Mansouri, offered the students the opportunity to discuss and ask questions regarding the procedures of litigation in the courts. Dr. Mohammed Desouki thanked the Dubai Courts Judge HE Al Mansouri for accepting the invitation from Al Falah University and stressed that the university is in pursuit of organizing such valuable lectures and activities specialized in legal matters to meet the needs of students of the College of Law to enhance their practical skills.